The latest release on Balkan Connection South America finds label boss Nicholas Van Orton back in the spotlight with a brand new EP. The Argentinean artist is fresh off a remix of Robert R. Hardy’s ‘Last Indos’ (also courtesy BCSA) and also has 2017 appearances on BC2 and Superordinate Music. 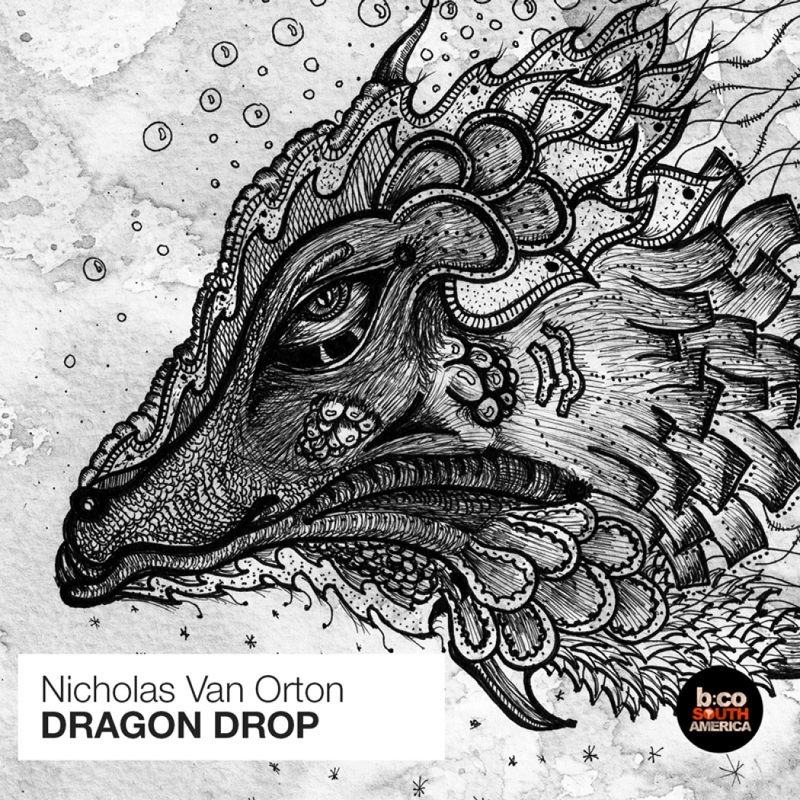 Now returning to his home label Nicholas presents his latest two track EP entitled ‘Dragon Drop’. The release begins with its title and showcase piece ‘Dragon Drop’ which finds Nicholas crafting more groovy progressive minded music. The moment the track begins you’re immediately captivated by a distinct vocal stab. Unique and devilishly hypnotic, it signals more brilliance to come as a chunky groove and hypnotic second act highlight the journey. Buzzing synths add mightily to the already trippy vibe while strong drum fills bring a few great moments on the road home. Excellent as usual from Nicholas. The companion piece ‘Otro Jueves’ comes in more atmospheric but with the same great sound profile. Nicholas’s grooves are quite distinctive and this one has all the well contoured hallmarks he’s become so loved for. Eerie overlays and a dark, underlying rhythm carry nicely through the first act before glassy motifs add an extra sparkle during the final break. It’s an interesting contrast and one which complements the lead piece quite well. Another beautifully crafted EP from Nicholas and BCSA that’s not to be missed.